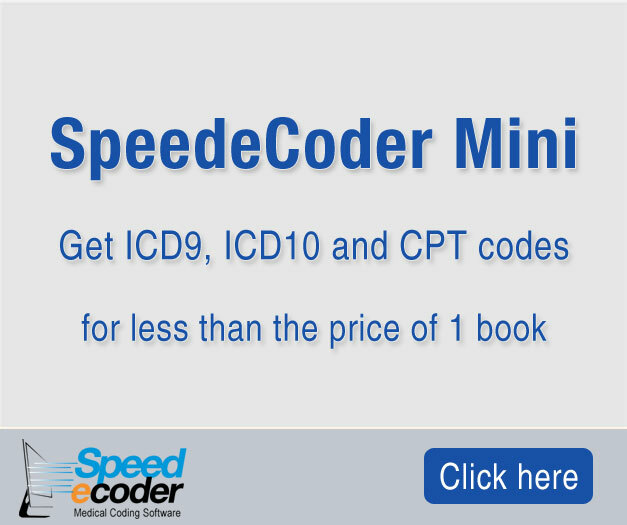 Free Medical Coding -Search ICD 9 CM Codes, ICD 10 CM Codes, ICD 10 PCS Codes, HCPCS codes, Medicare Diagnosis Related Groups(DRG), ICD 9 CM Look UP, ICD 10 CM Look up absolutely free, Free Trials for CPT Codes, Medical Coding books and Medical Coding Software - Disclaimer. Freemedicalcoding.com contain links that link to external web sites. In no event shall Freemedicalcoding.com be responsible for the content, accuracy or opinions expressed in these web sites. 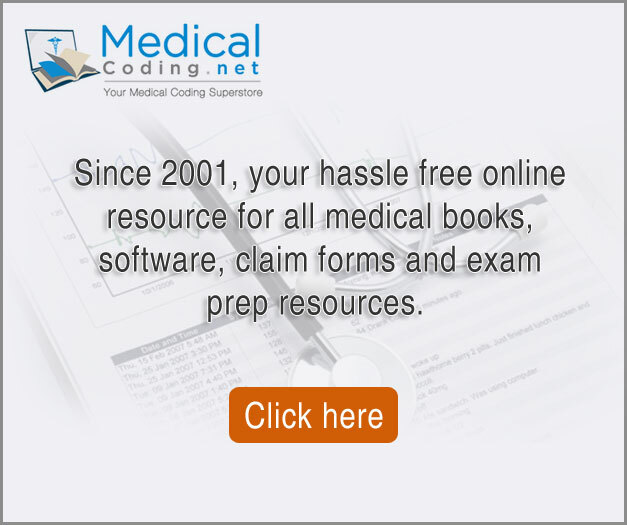 These web sites are not monitored or checked for accuracy or completeness by Freemedicalcoding.com. Inclusion of web sites linked to does not imply approval or endorsement of the linked web site by us. If you decide to leave our web site and access these third-party sites, you do so at your own risk. Freemedicalcoding.com contain medical data supplied for general information purposes only. The materials contained within this website do not constitute medical advice which should be sought from qualified medical advisor. In no event shall Freemedicalcoding.com be liable for any special, incidental, indirect or consequential damages of any kind arising out of or in connection with the use of the facilities or material derived from this web site, whether or not advised of the possibility of damage, and on any theory of liability. Freemedicalcoding.com and their contents are provided "as is" without warranty of any kind, either expressed or implied, including, but not limited to, the implied warranties of merchantability, fitness for a particular purpose, or non-infringement. Descriptions of, or references to, products or publications does not imply endorsement of that product or publication.